Cockapoo (or Cockerpoo) is a mixed-breed dog, the cross between a Cocker Spaniel and a Poodle, and has been popular in the United States for more than thirty years. Although many cute, fuzzy dogs of dubious ancestry have been called Cockapoos, a true Cockapoo is only a purposeful, planned crossing of a purebred Cocker Spaniel with a purebred Poodle. However, many breeders are now breeding Cockapoos to Cockapoos with the goal of creating a new breed. Several registries keep records of breedings, and at some point there may be a motion to have Cockapoos recognized as an official breed with one or all breed registries. Cockapoos are still mixed-breed dogs, and this makes describing the breed a little difficult. As with any mixed breed, some of the offspring will be more like the Poodle and some more like the Cocker Spaniel. 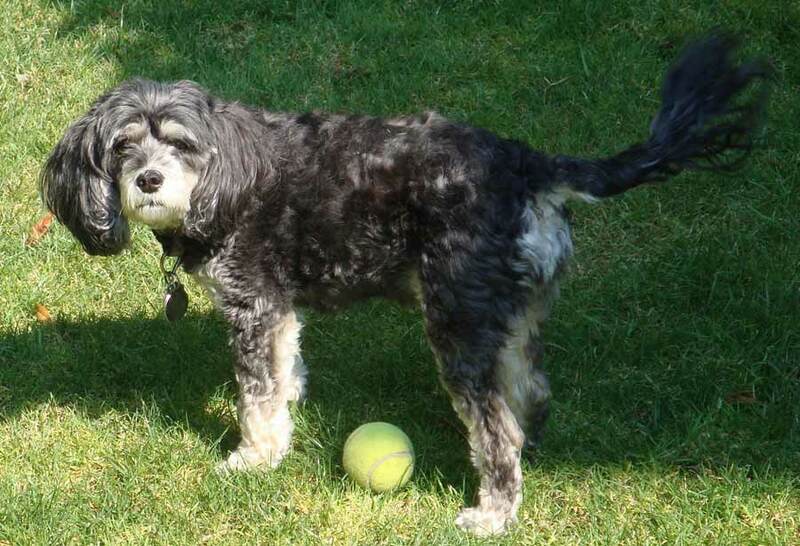 However, most Cockapoos from a Cocker Spaniel and a Miniature Poodle cross are Cocker Spaniel height (14 to 16 inches tall) but slighter in build. The coat is usually wavy to curly but without tight curls. Although the tail is sometimes docked, some breeders leave it naturally long. The face and expression usually show the mixed ancestry with characteristics of both breeds. Most Cockapoos are bright-eyed, intelligent, and ready for anything that comes their way. Since both the Poodle and Cocker Spaniel have coats that grow continually and require regular grooming, so does the Cockapoo. Unless the dog is shaved short, the coat needs daily brushing and combing to keep it from matting. The hair needs to be trimmed every four to six weeks. The hanging ears can be quite heavy with long hair on them and require regular cleaning. Cockapoos vary in temperament and need for exercise. Some are calmer, more like their Cocker Spaniel ancestors, while others are quite busy—more like Poodles. The majority of Cockapoos need a vigorous walk morning and evening and a boisterous playtime in between. Without exercise, Cockapoos are smart enough to get into trouble and may use up all that excess energy doing something you’d rather they didn’t do! Socialization is very important. Young Cockapoos should meet people of all ages and ethnic backgrounds and get to play with puppies of various breeds. Training should also begin early, as Cockapoos are usually very quick and bright. The training should be structured yet fun. These dogs often get bored if training is too repetitive, so trick training and other activities can be incorporated. Many Cockapoos are serving as wonderful volunteer therapy dogs. The variety within this mixed breed applies to many characteristics; some Cockapoos are wonderful with children, while others are not. Some are excellent with other dogs and small pets, and others are not. Each Cockapoo is an individual, and that’s one of the characteristics many people enjoy. Cockapoos are, for the most part, healthy dogs, but problems can be inherited from both parent breeds, including knee problems, eye defects, and allergies. Note: Upload only Cockapoo picture or your picture with Cockapoo below - spammer's ip may be blocked.